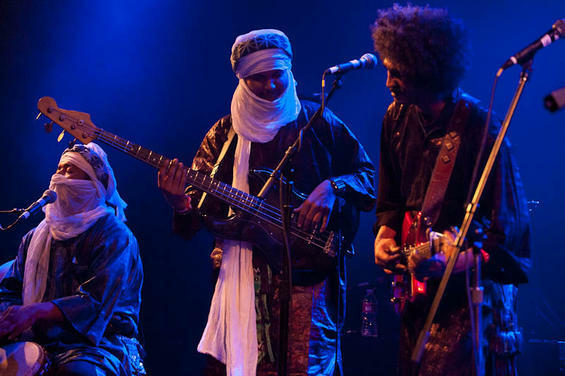 Desert Blues, is a music project with Habib Koité, Afel Bocoum and the Tuareg-Women-Ensemble Tartit from Timbuktu. All this musicians are poets and play the traditional instruments like Tinde, Tehardant, Balafon, Imzad but also electric guitars. Two hundred orchestral musicians are playing Beethoven’s Ninth – Freude schöner Götterfunken. A power cut strikes just a few bars before the last movement. Problems like this are the least of the worries facing the only symphony orchestra in the Congo. In the 15 years of its existence, the musicians have survived two putsches, various crises and a war. But concentration on the music and hopes for a better future keep them going. The documentary by Claus Wischmann and Martin Baer is a study of people in one of the world’s most chaotic cities doing their best to maintain one of the most complex systems of joint human endeavour: a symphony orchestra. 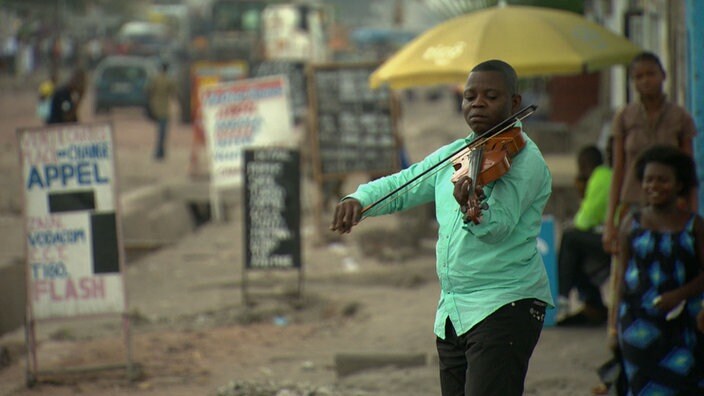 The film is about the Congo, the people in Kinshasa and the power of music. 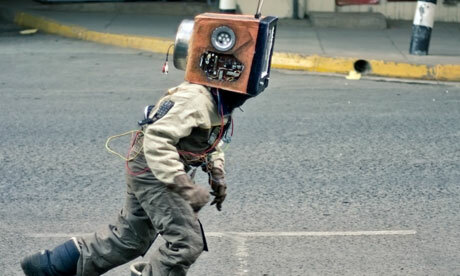 This short film by storyteller Muchiri Njenga set in a post-apocalyptic African slum and city. It takes the viewer on a metaphorical voyage through a young boy’s dream wondering inquisitively with a live TV as his head to show the effects of media on a young generation. Featuring music by Just A Band (Africa’s super-nerdy electronic band), this music-metary is a metaphor for the way we are now all plugged into the same images of global anxiety while at the same time being ourselves subjects of scrutiny of the all-seeing ubiquitous cameras. Kichwateli is Studio Ang’s contribution to the BLNRB project, a cooperation of Kenyan and German artists initiated by Goethe-Institut Nairobi and Gebrüder Teichmann. Madagascar All Stars is a galaxy of stars because every member of the band is a star in the island in the Indian Ocean. The artists play traditional Malagasy instruments as well as modern instruments. Madagascar is home to peoples from all over the world, Africa, Arabic countries, India, Europe and Oceania. That’s why 50 different traditional instruments are played and a great variety of music styles can be heard. The band brings the magic of Madagascar to the western world. Beautiful songs, vibrating rhytms, colourful costumes, traditional African dances and great acrobatics make up for one of Africa’s most impressing musicals. 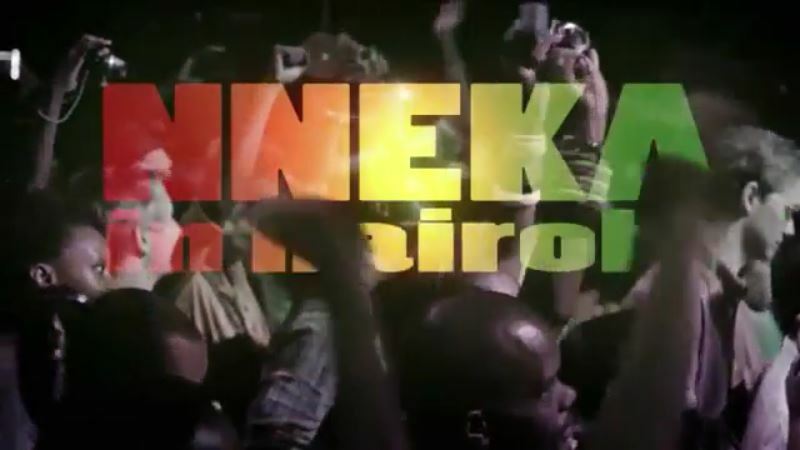 Goethe-Institut Nairobi presents Nneka, the sensational Afro-German warrior princess stretching from teardrop soul-singing to freestyle rapping. She grew up in the Delta region of Nigeria and later relocated to Hamburg. In 2005, she put out her first album, Victim Of Truth, followed by No Longer At Ease (2008) which impressed US rock star Lenny Kravitz so much that he invited her to be the supporting act on his tour. The tour was followed by an extended stay in her native country, where she composed many of the songs on her third album, Soul Is Heavy (2011). This album is multi-faceted and “politically conscious”, a potpourri of Reggae, Soul, Afro, R&B and Hip Hop. Orchestra Baobab is a Senegales Afro-Cuban, Wolof and Pachanga band. Organized in 1970 as a multi-ethnic, multi-national club band, Orchestre Baobab adapted the then current craze for Cuban music, and mixed it with the Mandinga musical traditions of the Casamance. One of the dominant African bands of the 1970s, they were overshadowed in the 1980s and broke up, only to reform in 2001 after interest in their recordings grew in Europe. In 2002 Orchestra Baobab published the album Specialist in all styles which was awarded with the German Jazz Award. Not Bongo Flava, this is East African / Tanzanian Hip Hop. Last video of the late mc Faza Nelly from X Plastaz, Tanzania’s most well known hip hop crew who merge Swahili rap and traditional Maasai music. This video to the song ‘Nini dhambi kwa mwenye dhiki?’ about poverty in Tanzania was partly recorded on top of Ol Doinyo Lengai, a remote, active volcano and the Maasai’s ‘Mountain of God’ which had its 1st major eruption in years the day after Nelly died. Sona Jobarteh is the first female Kora virtuoso to come from a west African Griot family. The Kora is one of the most important instruments belonging to the Manding peoples of West Africa (Gambia, Senegal, Mali, Guinea and Guinea-Bissau). It belongs exclusively to griot families, and usually only men who are born into these families have the right to take up the instrument professionally. Sona Jobarteh combines various genres of African Music and western musical elements. Ali Farka Touré was called “the Bluesman of Africa”, the Malian musician was one of Africa’s most internationally renowned musicians. 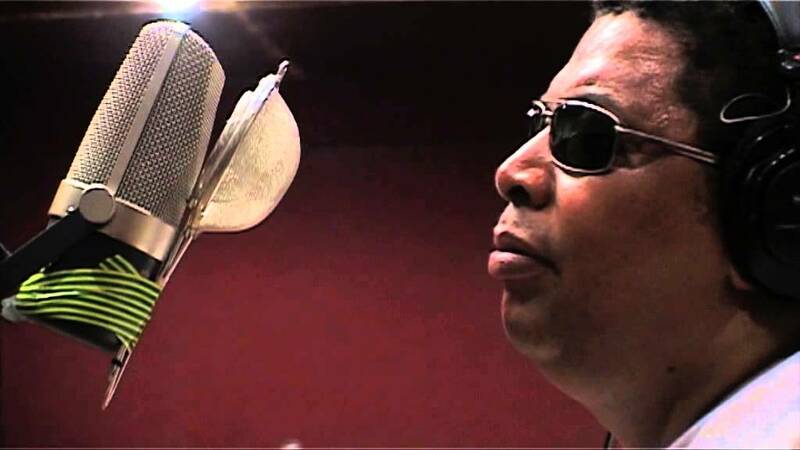 His music is widely regarded as a combination of traditional Malian music und North American blues, which is music of African Americans and somehow connected to traditional Westafrican musik. Touré was ranked number 76 on Rolling Stone’s list of “The 100 Greatest Guitarists of All Time”. World Circuit Records have established their reputation by producing some of the finest world music albums of the past two decades, including the Grammy winning albums of Ali Farka Touré.